Drain the water from soaked nuts and grind to a smooth paste. Heat a sauce pan, add 3 cups of full fat milk and bring it to boil. Keep stirring the milk and boil till it becomes a porridge consistency. Add almond-cashew paste and mix. Stir in the sugar and mix. Cook on a slow flame for another 2 to 3 minutes. 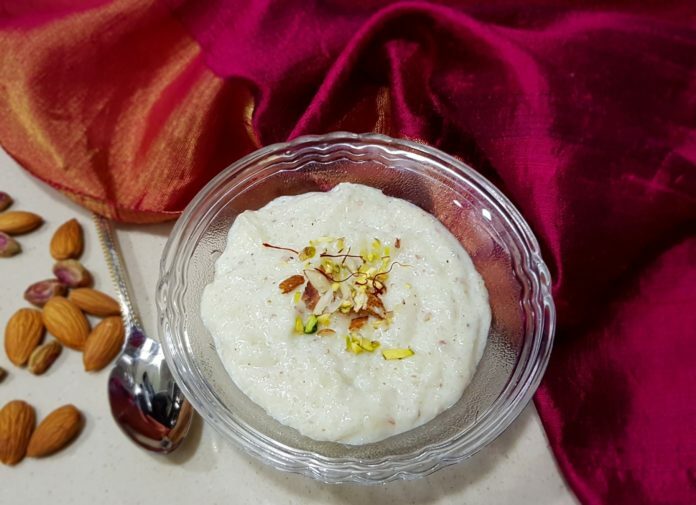 Allow the phirni to cool completely.